Welcome to the Nonprofit Answers Podcast where we answer your nonprofit marketing and fundraising questions. From acquiring new donors to nurturing long-term donor relationships, we’ve got the answers to your most pressing questions. Hi, I’m Jeremy Reis, your Nonprofit Answers host. I’m the Senior Director of Marketing at Food for the Hungry, leading our direct response, digital, creative, child sponsorship communications, and sports fundraising initiatives. Food for the Hungry is a $130 million international relief and development organization. In my role, I face many of the same challenges you do and have to make decisions on how to raise the most funds, develop the deepest relationships, and market our organization with limited money, people and resources. In this podcast, I’ll answer your questions on nonprofit marketing and fundraising to help you raise the most money possible to help the most people you can. Do you have a question you’d like answered? Please submit it below or call 1-855-925-4257 and leave me a voicemail. If you leave me a voicemail (preferred so I can add your audio to the podcast), please let me know your name, city you’re in, and any details necessary to answer the question. By leaving a voicemail or submitting the form, you grant us the right to use your voice or likeness and any information you submit in the Nonprofit Answers Podcast and on nonprofitdonor.com. 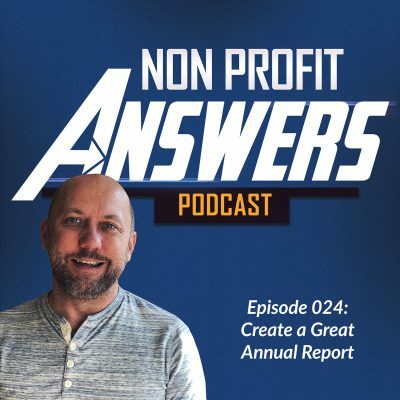 Submit your question to have an opportunity to be featured on the Nonprofit Answers Podcast. Please call 1-855-925-4257 and leave us a voicemail or complete the form below. If you complete the form, we will use a voice actor to read your question for the podcast. By submitting this form, you give us the worldwide license and right to use your question on the Nonprofit Answers Podcast and on nonprofitdonor.com. Thanks for submitting your question!